Songkran celebrations in Samui, 13 April 2012. We went to Chaweng in our truck, I was driving, my hubby was filming, hope you all enjoy! 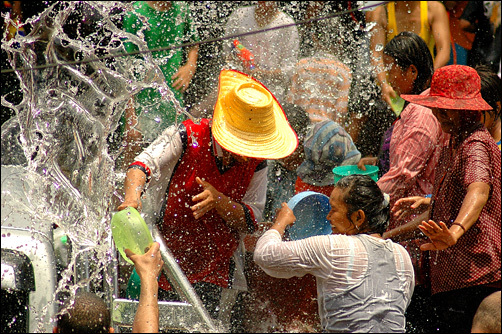 In case you don't know yet what it is - Songkran Festival is the traditional Thai New Year celebrated on April 13th. Families and friends get together to celebrate by visiting temples, sprinkling water on Buddha images and on each other's hands as an act of wishing good luck. 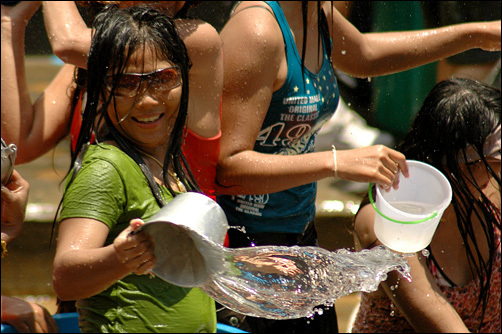 In recent years, the tradition of sprinkling water has mostly become a water fight, especially in the touristy areas and it is not uncommon to have buckets and containers of water thrown at you as you make your way down the street - particularly in major tourist areas. 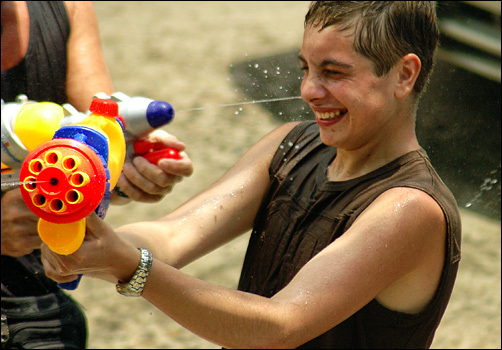 If you decide to go out in Songkran - you should get a water gun and enjoy! Just leave your cameras and anything likely to suffer water damage behind in your hotel room, because you will get wet. We will try to get to central Chaweng tomorrow, the area where most of the fun will take a place, so expect some photos from Samui's Songkran celebrations. Have a great day, everyone, enjoy as much as you can!